GLENISK IS RECALLING batches of its granola yogurt as peanuts may be present in granola mixtures that came with specific yogurts. Peanut should not be present in the recipe, and is therefore not listed as an allergen on the packs. The 145g of Glanisk 0% Fat Yogurt with Granola in honey and natural flavour are being recalled. Supervalu yogurts produced by Glenisk are also affected, they include the 145g Supervalu Yogurt with Granola in natural and strawberry flavour. Glenisk was advised of the possible presence of peanut by its granola supplier, Crispy Foods. Tests conducted on the affected Glenisk products revealed low levels of peanut ranging from 1.4 parts per million to 4.1 parts per million. Consumers who are allergic to peanuts and who have consumed any of the affected products are being advised to contact their doctor. No reports of adverse reactions from consumers with peanut allergies have yet been received. Customers who bought the affected yogurts, and who are concerned that they may be allergic to peanuts, can return it to the shop where it was purchased and will receive a full refund. Customers who are concerned or have questions can contact Glenisk on 057-9344000/ 01-4977524 or by info@glenisk.com. Email “Have you bought Glenisk or Supervalu yogurt with granola? Four are being recalled ”. 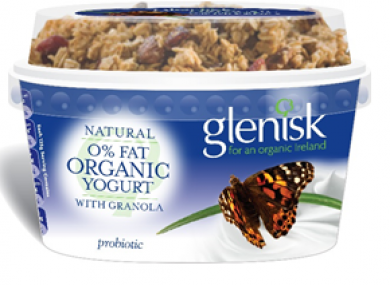 Feedback on “Have you bought Glenisk or Supervalu yogurt with granola? Four are being recalled ”.